Mobile Cleaning Systems has been servicing Ocean and Monmouth County for the past 10 years. We offer statewide service and even carry a full line of supplies. We offer Janitorial Cleaning services for your commercial buisiness or office. From warehouses to Dentist or Law offices to churches and schools. We also offer residential cleaning for your home or vacation home. You can hire us weekly, bi-weekly, monthly or even seasonally. Anything you need, cleaned we can help. We will customize a package to fit any budget. Every job, whether large or small, begins with an evaluation of your facility. We will meet with you at a time that is convenient for you. During that time, we will walkthrough your facility, we will point out any areas that may need special attention. During this evaluation, we will provide you with a customized assessment of your maintenance needs to ensure optimum cleaning results. We offer expert cleaning at affordable pricing. We do it all the right way. We offer a fully trained crew to provide for all your needs. Our services include, but are not limited to, Cleaning and sanitizing all restrooms, dusting, polishing, garbage removal, vacuuming, mopping and window cleaning. 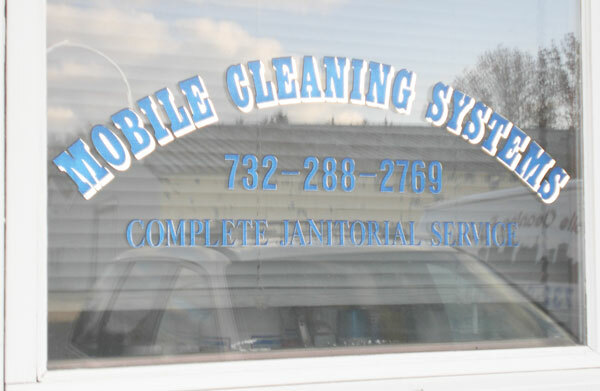 For more information on what we offer, see our Services Page or email us at info@njmobilecleaning.com. We offer packages for Weekly, bi-weekly or monthly cleaning. Copyright © 2011 Mobile Cleaning Systems. All Rights Reserved.